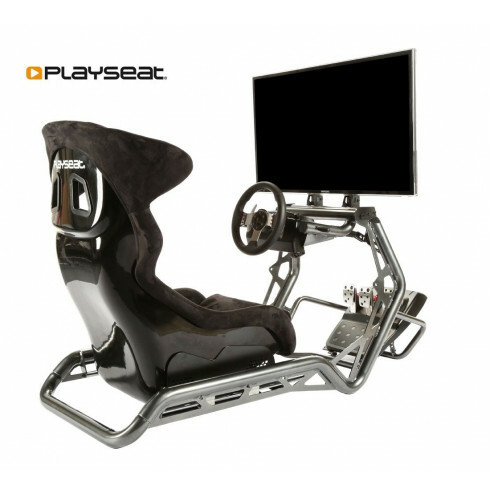 This is the Pro edition of our newest simulator series, the Playseat® Sensation! With this simulator you can take your racing to the highest possible level. The Playseat® Sensation Pro chair is fully adjustable for players of all sizes, you can easily control the incline of the seat, the distance to the pedals and steering wheel as well as the angle of the screen and much more! The seat is made from the highest quality materials, with an amended seat back that allows the best racing. Built around a real racing position, to provide maximum resemblance with real life racing. Professional drivers acknowledge the unique quality of the Playseat® Sensation Pro and have confirmed that it faithfully reproduces the feeling of driving a real race car! I wanted to get something sturdy and sturdy this is! In my opinion, the worst thing that you can have in a sim is the physical world taking away from the digital experience. The sensation pro's frame is solid - no wiggles, creaks, movements...nothing. Assembly was super easy for me since it comes mostly preassembled. There is a teeny bit downward flex where the wheel attaches but the fanatec wheel that I'm using is a heavy beast; and I've never noticed it while playing but only when I'm critiquing it. I paired it with fanatec's reverse pedals - and the seat seems perfect for it. My tv is 50" - too big to be mounted on the rig - it would end up being too close. My only real problem is that seat is too slouched for extended use.....I ended up solving it with two cushions. The wheel bar moves up/down for tilt - I love it! The alcantara on the seat is just lovely. 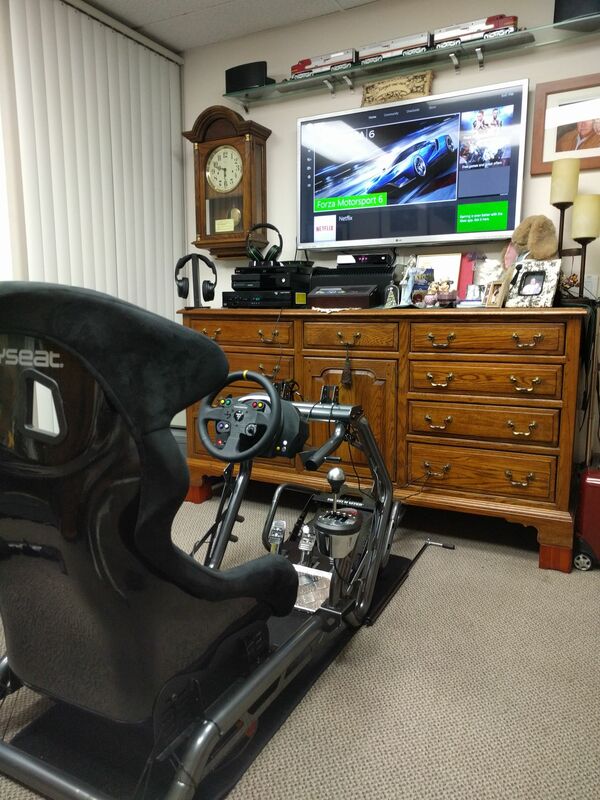 The playseat pro is an amazing sim rig. This is the only way to sim race.. Helps you feel very confident. The rig feels just like the inside of a race car.. No shaking or wobbling what so ever.. I WILL RECOMEND playseat products on YouTube and to all my friends.. Thanks playseat! !